Valerij B. Temnuhin, born in Kazan (Russia) in 1967, graduated from the St. Petersburg Academy of Forestry in 1991. In 1991-1997, he worked at the Forest Science Institute of the Russian Academy of Science in the Moscow Region. As a talented scientist he was awarded a personal grant from the President of Russia. The first poetry book by V.B. Temnuhin was published in 2002. Since 2004 he produced a new poetic version of the masterpiece of ancient Russian literature “Slovo o Polku Igoreve” (The Song of Igor’s Campaign). It has been published twice as a personal edition (in 2005 and 2006). In 2006, it appeared in the Russian Internet Journal "New Literature". There are many poetic versions of the ancient Russian literary masterpiece “Slovo o Polku Igoreve” (The Song of Igor’s Campaign) in the classical and modern Russian literature. But even the best of these interpretations are not devoid of certain flaws and drawbacks. Some authors tend to use the combination of old and a modern Russian words and expressions. Actually, their works can hardly be called interpretations. Modern Russian poets usually follow some kind of the present day literary tradition. The new versions of the ancient text often represent a mere stylization, which in fact brings about the distortion of the original text. Besides, the specific features of political, an ethnographical nature, and others aspects of the Ancient Russian State are entirely unknown for the large proportion of modern readers. As a result, new versions of “Slovo o Polku Igoreve” are very difficult to comprehend. There is no doubt, that the sense of modern versions does not correspond to the sense of the ancient text. And, finally, the numerous appendixes and comments to the new versions of the text do not contribute to its understanding by the readers particularly schoolchildren. 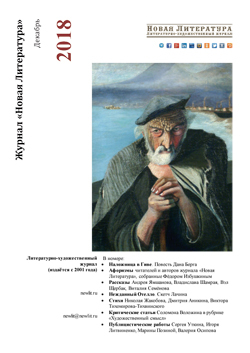 Thus, the problem of complete literary adaptation of “Slovo o Polku Igoreve” to modern Russian has not been solved. At present, the Russian society is in great need of unity while the Russian state and governmental institutions demand strengthening and moral purification. In search of solution to these problems, I present my poem "Kajala" ("A defeat") for the readers as a new vision of modern literary interpretation “Slovo o Polku Igoreve”. It is not addressed to the antiquities of the Kievan Russ. Based on facts from the ancient Russian history it appeals to the unity of all nations inhabiting Russia and all her friends in the modern world. Of course, the discussion about the poem is very important for me. Please send me your letters and call me on the telephone. I think, your opinion about the book will be a good support for my further work on the text and publication.